Read more about the organisers. 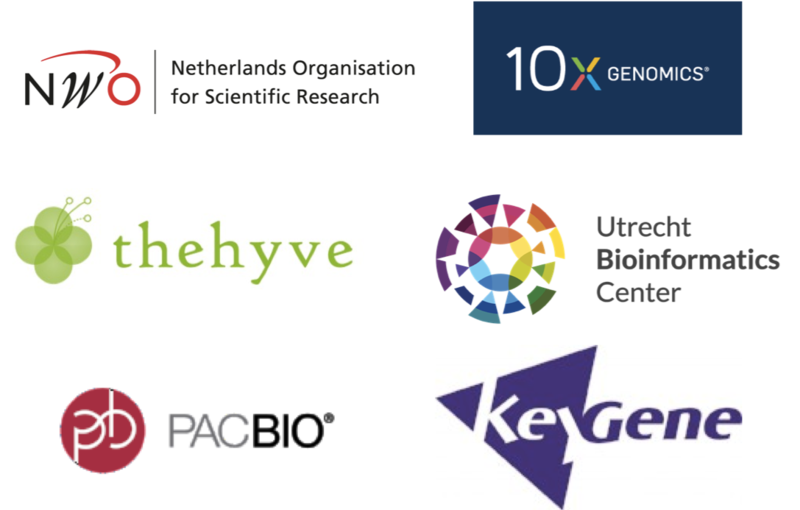 This year’s scientific programme was very intensive, featuring keynote lectures, parallel thematic sessions, poster sessions, hot topics sessions, breakout sessions, and three ELIXIR-NL tracks. “I think the programme was quite full and I would suggest to at least plan some moving time between the plenary and parallel sessions. However, as reflected in the overall grade, I really liked the conference and the opportunities to meet everybody again!” said one participant. The conference addressed the latest developments in bioinformatics, systems and computational biology, and their wide-ranging applications in life sciences & health, agriculture, food & nutrition. “A very good meeting, also for molecular biologists that are not trained in bioinformatics like me,” said another participant. 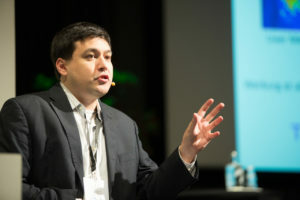 At the conference, the BioSB research school awarded three prizes. Bram Thijssen (Netherlands Cancer Institute) won the BioSB Young Investigator Award 2018. 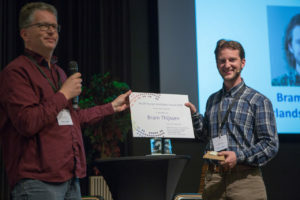 Bastiaan von Meijenfeldt (Utrecht University) received the BioSB Oral Presentation Award 2018 with his presentation about the robust taxonomic classification of ‘dark’ microbial sequences and bins with CAT and BAT. Joske Ubels (UMC Utrecht) was awarded the BioSB Poster Award 2018 with her poster on predicting treatment benefit in Multiple Myeloma through simulation of alternative treatment effects. After the conference dinner, the YoungCB organised a Pubquiz followed by the Blazing Harrows band who gave a great performance and made the evening a real party. “The conference dinner was very nice and the pub quiz was a lot of fun. The band was a fantastic addition to the program!” The party evening was followed by a refreshing run through the woods of Lunteren the next morning. If you could not join us this year, you may want to read participants’ tweets (#BioSB18), look at the photo impression, find more information on the conference website, or download the abstract book. Next year’s conference (2019 edition) will again be organised at De Werelt in Lunteren in the Spring of 2019, this time co-organised by the BioSB research school, VU University, and the University of Amsterdam.